On 21st August 2018, President Shri. Mahesh Bagi, Hon. Secretary Shri. Satish Gourgonda and Hon. Jt. Secretary Shri. 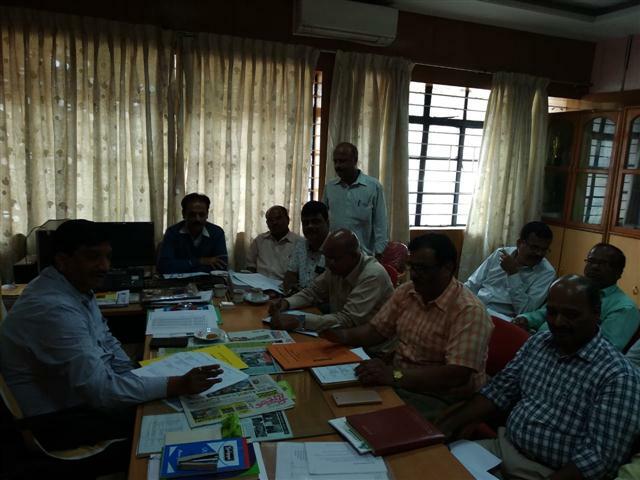 Vilas Badami attended the meeting of KIADB plot allotment of Kittur at DIC office Belagavi.